Penguin Modern Classics, 1971 (2012). 320 pages. Archer’s home ground was mostly California, and some of MacDonald’s better books, including this one, were sensitive to the social seizures that gripped the postwar United States, culminating in the 1960s. 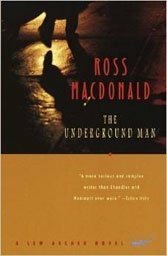 “The Underground Man,” which while rotating around linked murders, is also about parents from the Hammett era — ages 40-to-60 — unable to fathom the thinking with wayward children alienated from values that depended on the covering up family secrets, particularly the more sordid sexual ones. These are the secrets Archer bumps up against when he tries to track down a teenage blonde and her young boyfriend who have inexplicably absconded with a five-year-old boy. When the boy’s father is found murdered, the plot thickens, with the private lives of the adult principles shown to spew “a moral DDT that damaged the lives of their young.” All the while a forest fire rages, a metaphor for people smoked out, exposed, undone, part of an innate savagery that Archer tries to contain but knows he cannot. “The hot breath of vengeance was growing cold in my nostrils as I grew older,” he confesses. 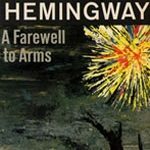 “I had more concern for the a kind of economy in life that would help preserve the things that were worth preserving.” It is this depth of vulnerability and ironically uplifting resignation that makes Archer unique, and MacDonald, Kenneth Millar in life, consistently worth reading.